Home > Why do car insurance companies check credit? Why do car insurance companies check credit? 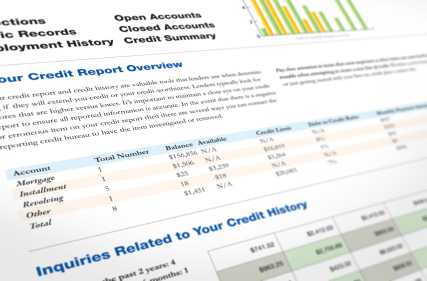 Credit scores can play a big role in car insurance rates. For many consumers with good or decent credit the whole topic of credit scores and car insurance rates will never be discussed but if you are a driver with poor credit its very possible to see higher car insurance rates or even be denied coverage. How do Credit Scores correspond to Car Insurance Rates? Car insurance rates are not just based on how good of a driver you are or what type of car you drive but an overall reflection of how much of a risk you are to insure. Risk in the insurance industry is defined as “the risk of an insured policyholder to file a future claim” and car insurance companies have started to notice that people with bad credit have a higher risk of filing a future claim. You have to remember that insurance companies are profit driven and have no obligation to insure you and any factor which increases the odds of a driver filing a future claim will increase auto insurance rates. This could mean a car accident, speeding ticket, DUI conviction or just a bad credit score. Many variables go in to the final calculation of your individual car insurance premiums but no factor has even been more controversial than the use of credit. In fact, some states like California have banned car insurance companies from using credit scoring as a factor. Are there Good Credit Car Insurance Discounts (like the Good Driver Discount)? You will get penalized for bad credit but sadly there are no flowers or discounts for good credit we know off. Risk formulas assume you pay your bills on time and do not reward you for doing what you’re supposed to do. Bad credit however is considered higher risk so you are penalized. Eventually a car insurance company will come out with a great credit score discount but for most drivers this will probably never be any kind of substantial savings on auto insurance premiums. Do Car Insurance Companies penalize drivers for filing a claim? Yes and No. If you are switching car insurance companies its not uncommon for any new policy provider to ask if you have filed a claim before and by answering the question they can actually use this against you. On the other hand if you lie and say no then they can deny future claims if they find out. Your existing car insurance company may be ok with smaller claims but at the time of renewal there is a slim chance this insurer can also drop you. Car insurance companies love selling coverage but no provider wants to pay out more than the amount of premiums collected otherwise it’s simply nothing more than a bad investment. Credit scoring is just one of the factors of qualifying for car insurance but it is an important one. Drivers with bad credit or really low credit scores should never get upset if they are denied by a car insurer as many options exist for auto insurance coverage in the voluntary market – especially if the only blemish on your application profile is a poor credit score. If you continue to get denied coverage though all states have high-risk insurance programs to assist drivers obtain car insurance. While these state programs are more for people with excessive traffic violations and DUI convictions they do accept anyone who has been denied coverage so you will get car insurance even with bad credit.